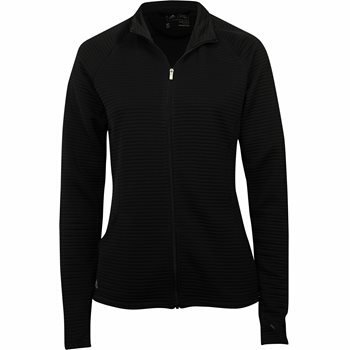 The adidas Women's Essential Textured Golf Jacket is a comfortable, cozy jacket made with a soft, textured stripe fabric. 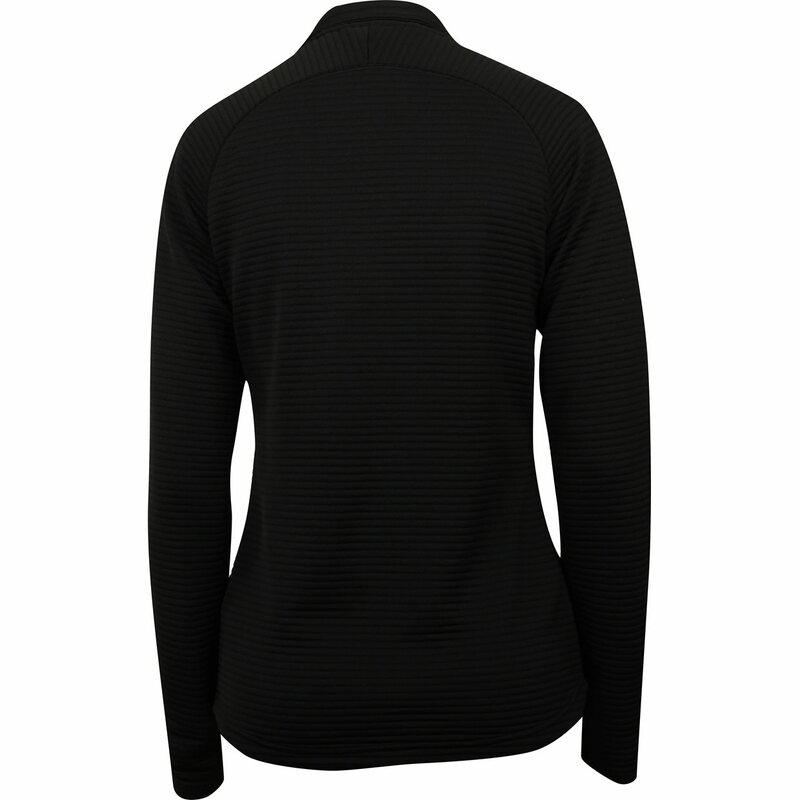 It features a full jacket zipper, a stand collar, and raglan sleeves. 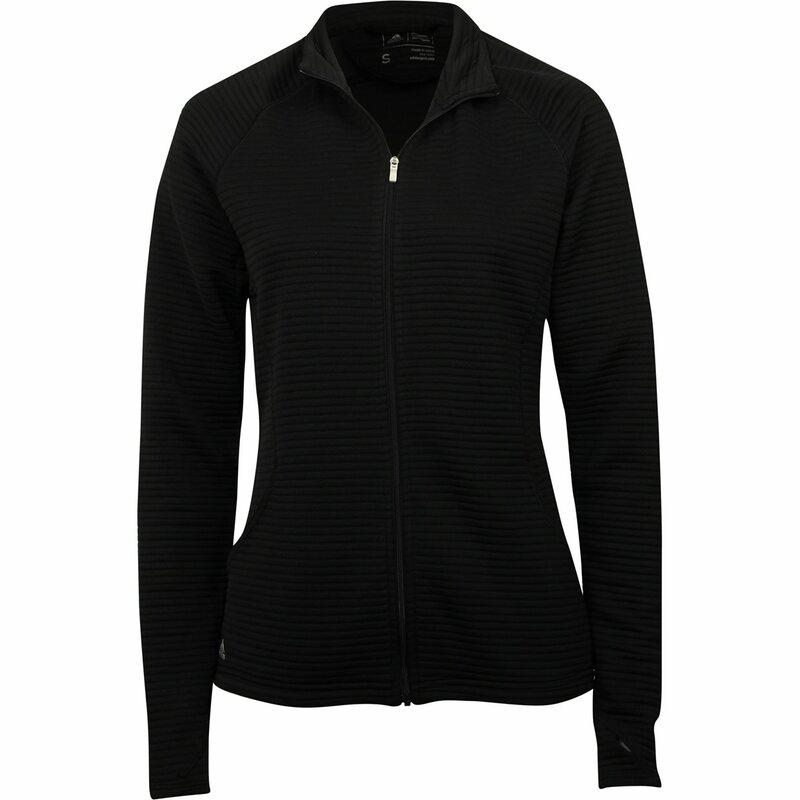 The regular fit is wider at the body, with a straight silhouette and thumbholes for extra coverage. 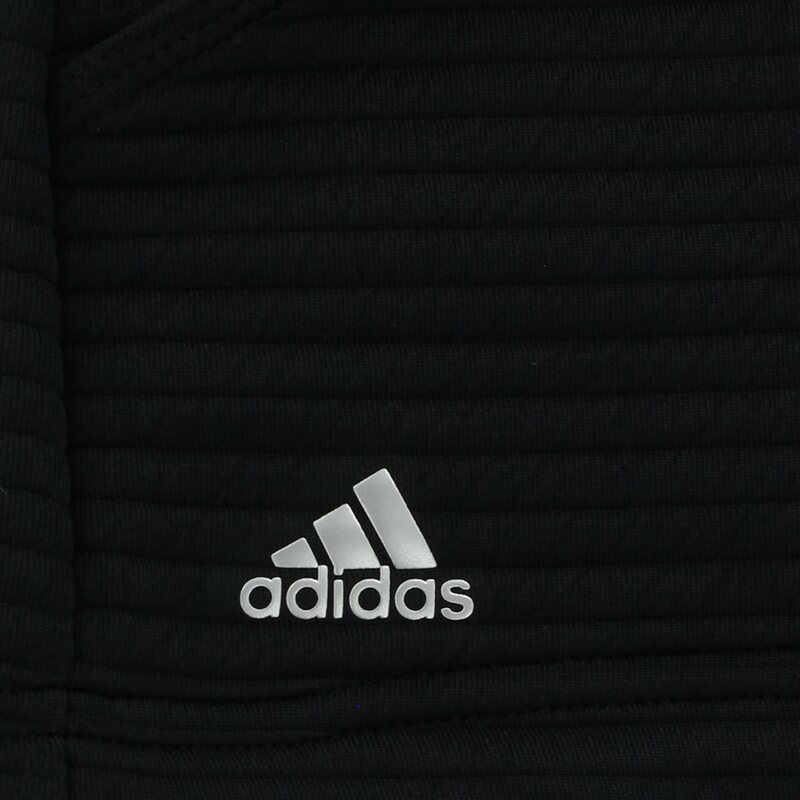 adidas raised logo on right hip.